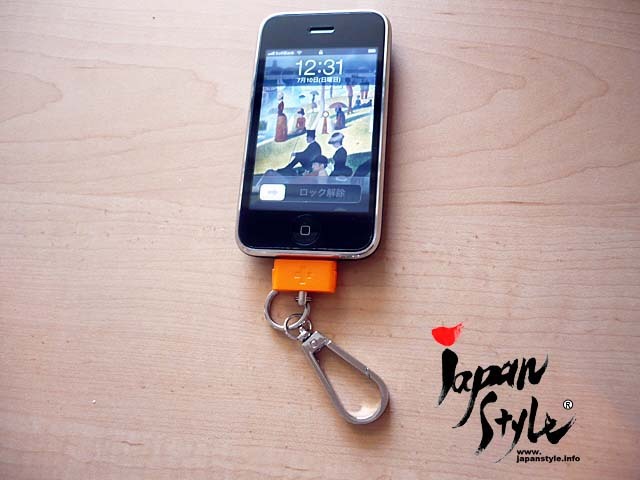 For those who own iPhone/iPad and are planning to visit Japan, how they can use their iPhones might be a big question. Today, I give you some information on how to use iPhone in Japan. There are basically 4 ways to use your iPhone in Japan. Your choice will depend on the length of your stay in Japan, and how you want to use your iPhone (phone call, internet, or both?). It would be the easiest way because you can do it in you country before you come to Japan, and you don’t have to sign any contract in Japan. But it could be very expensive. Ask your phone company about the service and check the rate. If you going to make a phone call a lot, you might want to use Japanese SIM card. [SIM Card Rental Services] Note: Only available for SIM-lock free iPhones. In Japan, you can hardly find free Wi-Fi hotspots that you can use without a password. Personally, I am an iPhone user and use a pocket Wi-Fi, which you can carry around and connect to Wi-Fi connection wherever you are. For faster connection, there is WiMAX. You can rent it from Global Advanced Communications (English). e-ca provides monthly rental pocket Wi-Fi and WiMAX. The price is not bad (about 5,000 yen/month + 2,800 yen for the initial fee) and foreigners who don’t have Japanese address can use it too; however, there is no English translation, so you need someone who understands Japanese to sign up. This idea is for those who will stay in Japan for long term and have alien registration card. Currently, NTT Docomo and b-mobile provide SIM card that can be used in iPhone. It enables you to use your iPhone through Docomo line. To contract with Docomo, you need to show your certificate of alien registration. Only for SIM-lock-free iPhones which displays Japan’s certification icon TELEC. See if you can find the icon in your iPhone or iPad, under Settings – General – About – Regulatory. Unlimited b-microSIM U300 (300kbps) package (for iPhone4/3GS and iPad) is around 3,000 yen per month. It includes 3G data communication fee, and internet connection fee. If you prefer to have voice call option, there are “talking b-microSIM platinum (for iPhone4)” and “talkingSIM platinum (for iPhone 3GS)” which are around 6,000 yen per month including 1,050 yen (about 25 minuts) of no-charge voice calls, and internet connection fee. The platinum plan also supports tethering internet access via USB or Bluetooth. To contract with e-mobile, you need to have Japanese address and certificate of alien registration. Please note that all the information stated above is the result of my own research, and there may be errors or changes. Refer to the information on your own responsibility.